Richard Nixon was born on the 9th of January 1913 in Yorba Linda, California. He went to university and became a lawyer in 1937. Later, he served in the Navy Reserve during World War II. Nixon was elected into the House of Representatives in 1946, and soon became senator of California. In 1953 he was elected as Vice President of the United States with President Dwight D. Eisenhower and he served until 1961. 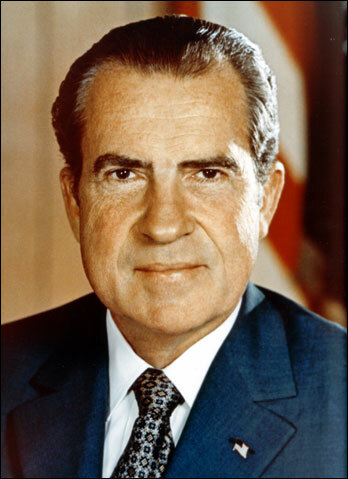 Nixon was then elected as president in 1969, becoming the 37th President of the United States. Nixon served as president until 1974, when he resigned from the presidency amid the controversy of the Watergate Scandal. To this day, Nixon remains the only American president to resign the presidency. During his presidency, relations between the Soviet Union and China were very tense, with severe border clashes. He would famously write an article in Foreign Affairs urging the two nations to end the situation and called on China to not remain in isolation. In 1971 American table tennis players were invited to play a match against the Chinese, which was a breakthrough. Soon after this, Nixon announced that he would be visiting China in 1972, which was unexpected and a surprise for many people. The entire event has often been referred to by historians as Ping-Pong Diplomacy. When Nixon traveled to China he brought with him a new era of relations between the Chinese and Americans and opened diplomatic relations. Upon arrival Nixon shook Zhou’s hand which others had refused to do in the past. He also ensured that his visit was well publicized on TV. Nixon talked with Chinese officials about pressing issues and discussed solutions for the reunification problem. Nixon visited the Soviet Union in order to improve relations with them and overcome the Cold War. He negotiated with Soviet leaders and a new era of ‘peaceful coexistence’ ensued. Nixon visited the Soviet Union again in 1974 and discussed a proposed mutual defence pact. However this visit led to no significant breakthroughs. Nixon died on the 22nd of April in 1994.